The Witcher 3 is hailed by many as the greatest modern RPG, and we definitely cannot disagree. We have had great RPGs originating from Japan and the West with brilliant storytelling and gameplay mechanics over the years, but none of them did everything as perfectly as Witcher 3. 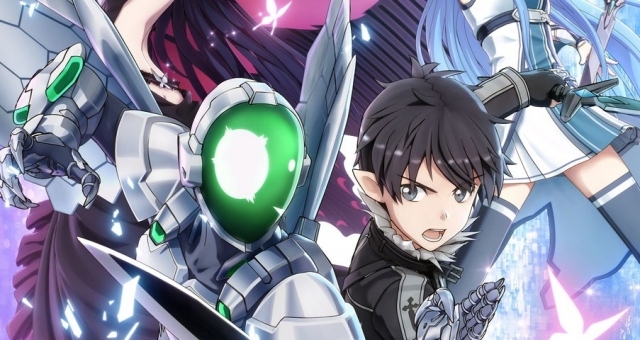 It is very hard to nitpick over the game and find flaws, and while some people might argue about the combat lacking depth and feeling a little clumsy, it makes the game more approachable for players who are not experienced at RPGs. Like all good RPGs, you get to choose your own path, and there are 36 different sequences that can be part of the three endings. Unlike games like Until Dawn or Walking Dead where your actions can instantly affect the fate of several characters, Witcher 3 believes in second chances. A single bad move will not jeopardize the fate of a character. Throughout the three games, we get to play as Geralt and see him mature as a character. But the looming White Frost is not something our hero from Rivia can tackle. In fact, it is Ciri who manages to dispel the White Frost and save the world. One thing that CDPR did brilliantly was developing Geralt and Ciri’s relationship. 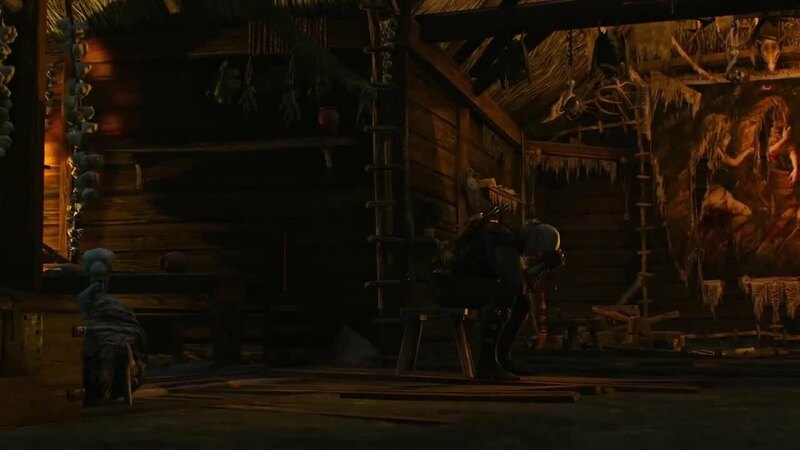 Even though Geralt is not Ciri’s father by blood, he cares for her just as much as a real father would and how you interact with her can affect the ending of the game. There are other pivotal decisions that you need to make that affect the fate of characters like the Bloody Baron, Keira Metz, Sara the Godling and more. While your actions in their respective quests do not affect the main ending, they can change the game world significantly permanently. You also have influence over the politics of the land and depending on who you side with; you can help your allies win wars in Skellige, Temeria, Novigrad, and Nilfgaard. 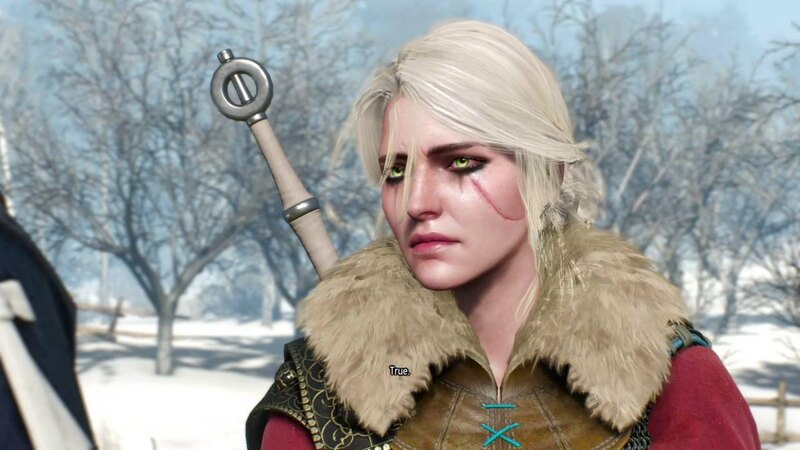 To trigger the bad ending, you need to ruin your relationship with Ciri throughout the game, and you should never be getting this ending unless you are actively trying to. It takes a complete madman or a psychopath to get the bad ending involuntarily considering how much effort you have to put in to make your daughter lose all respect for you. During the Blood on the Battlefield mission, if you choose the “Relax, you don’t have to be good at everything” option, it will make Ciri question herself, and she loses her self-confidence. In the same chapter, if you choose to accept payment from the emperor for bringing Ciri to him, Ciri will be upset over your actions. It makes her feel that you value nothing more than money. Not showing empathy during The Child of the Elder Blood also adversely affects your relationship with her. If you trigger all of the above sequences, Ciri ends up dying when he tries to battle the White Frost. During the ending sequence, we see Geralt hunt down the last remaining crone who escaped Ciri’s wrath. 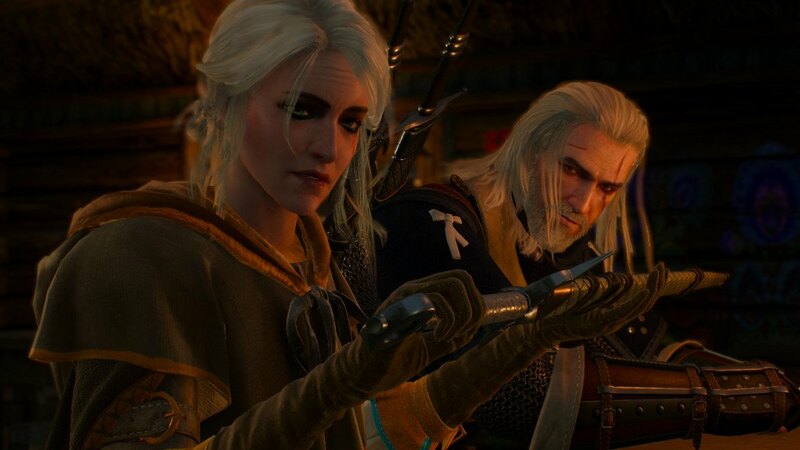 Geralt manages to retrieve Ciri’s Witcher medallion, and we see nothing but a heartbroken father. Monsters approach him, and it is implied that Geralt did let himself be killed as he did not attempt to resist the attacks. The bad ending is actually a great learning experience for players. If you accidentally managed to trigger the worst possible ending there is to the game, it may or may not have been intentional. The key to avoiding the ending the bad ending is by looking out for Ciri, not as a father but for her best interests. There is a time for when Ciri needs to be treated as a child and when you need to support her decisions. Parents raise their children with all the love in the world but a time comes when the children grow up and need to think for themselves. Trying to school them or forcing your views as a parent will only push them away. When Ciri wants to reminisce and enjoy a snowball fight with Geralt, it is necessary to indulge in her demands as there is nothing more important to her during that very moment than Geralt. You slowly realize that the game is not about Geralt’s adventures; it is about you supporting Ciri throughout her journey. It is her destiny to save the world, and the one thing she needs is strength. She is more than capable as a fighter, but she is too young and needs support from Geralt, the man who is more of a father than Emhyr var Emreis will ever be. We are too dragged into the notion that Geralt is a lone wolf and he can separate himself from things like morality and society. Witcher 3 does not throw incredibly difficult decisions at you that change the outcome of the game outright. 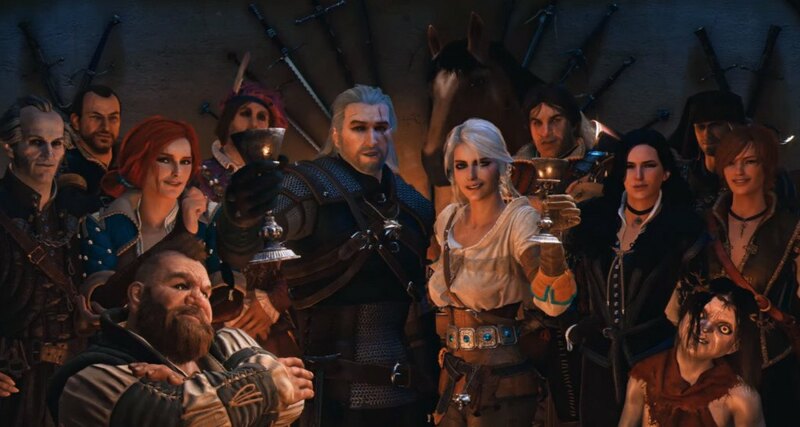 In fact, it is little conversations and actions with the NPCs and of course, Ciri, that affect your relationships and the ending of the game. Geralt’s nature of being a lone wolf is something Ciri picked up as well. She wants to be on her own adventure which is why she disappeared at the start of the game. Geralt has to accept that she is grown up and can deal with her own emotions. Long after the credits roll, you will be left questioning yourself and your decisions. The game is nothing short of a representation of real life and what it feels like to have a child. Putting other people’s needs ahead of your own is a good thing, but this epic tale also teaches us that it is important to give people the space they need instead of imposing what we think is right. Your intentions can be misrepresented, and even if you have good intentions at heart, you might be dismayed when seeing Geralt lie in despair and let himself be killed in the bad ending. After playing as a lonesome hero who managed to solve everyone’s problems for a price, he failed to protect the one person who meant the most to him in the world. But it does not mean Geralt failed and we as players “lost.” Whether you get the bad ending because you don’t care about Ciri or you just failed as a parent, there is no taking it back. You can always reload a save file and fix your mistakes but that’s not how life works, does it? The bad ending is undoubtedly a learning experience, and even though it is one of the most tragic moments in video gaming history, there is beauty in the fact that a video game can invoke real human emotions and make us regret our choices over someone who is not even real. In the first good ending, Ciri survives the White Frost, and this is when Geralt has to make a tough decision. As a player, you can either choose to keep Ciri’s whereabouts a secret or let her know that she can be Empress of the empire. Simply do not bring Ciri to the emperor during the Blood on the Battlefield questline and show empathy and love whenever you can to her. Let Ciri stand up for herself and speak to the Lodge of Sorceresses and accompany her to visit Skjall’s grave when she wants to. There is a recurring theme when you notice the pre-requisites to getting the Witcher ending. 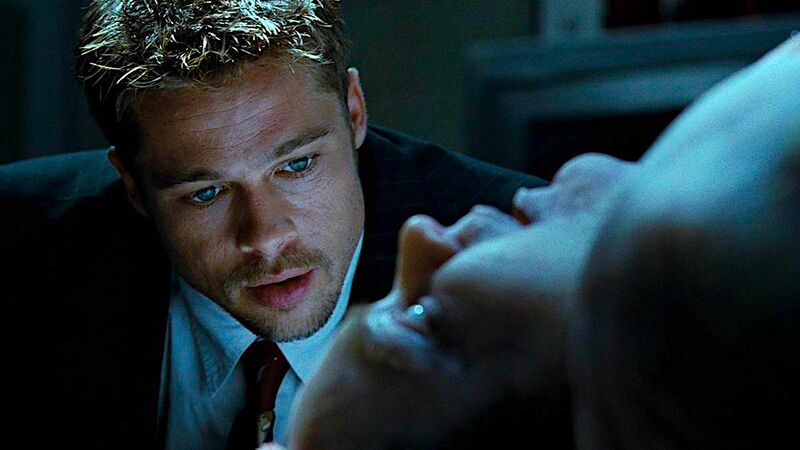 When it comes to the good endings, you have total control over which one you get. Ciri can either be the rightful heir to the throne and succeed Emhyr var Emreis or become a Witcher like Geralt. Whether letting Ciri becoming a Witcher is a bad idea or not can be debated as she does not have the same physical capabilities of a true Witcher. Geralt is capable of controlling his bodily functions to facilitate healing and also has the ability to use Elixirs. Even though Ciri picked up quite a few traits during her training, she still is not ready and is at constant risk of being killed. She will have to rely on her skills to keep herself alive if she chooses to be a Witcher and that might not be the best choice. While the game did show Ciri to have health regeneration, the books have no mention of such a power. It is up to the players to perceive how things will go for Ciri as a Witcher. It is also implied that Ciri herself agreed to become a Witcher over finding her place as the heir to the throne. The ending does feel a little out of place as Emhyr just acknowledges Geralt’s words as the truth despite trying to hunt Ciri down for two decades. The emperor never trusted Geralt, and there are just two explanations for his reaction. Either he accepted the fact that Ciri chose the life of a Witcher and will not be claiming her rightful through, or he will continue hunting her down and bringing her back to the empire. But the Emhyr’s actions are not seen past the final conversation between Geralt and him. When it comes to Geralt’s perspective, it makes the most sense for him as he gets to be Ciri until he dies. Depending on how your romantic relationships went, Geralt may settle down with Yennefer who is a mother figure to Ciri. Alternatively, you can also end up with Triss or be alone if you failed to win the heart of either love interest. Geralt continues training Ciri after peace returned to the kingdoms and the threat of the black ones was gone. Both Witchers eventually split up to follow their own paths, and Ciri goes on to become one of the most famous Witchers in the land. While the ending is not canon, it is arguably what the average player wants to see. Cirilla Fiona Ellena Riannon will always be little Ciri to us, and it is one of the best possible ways to give the series a sendoff. While the Empress ending might not be in Geralt’s best interests, it is what is best for the world. Ciri manages to survive the White Frost and save the world. 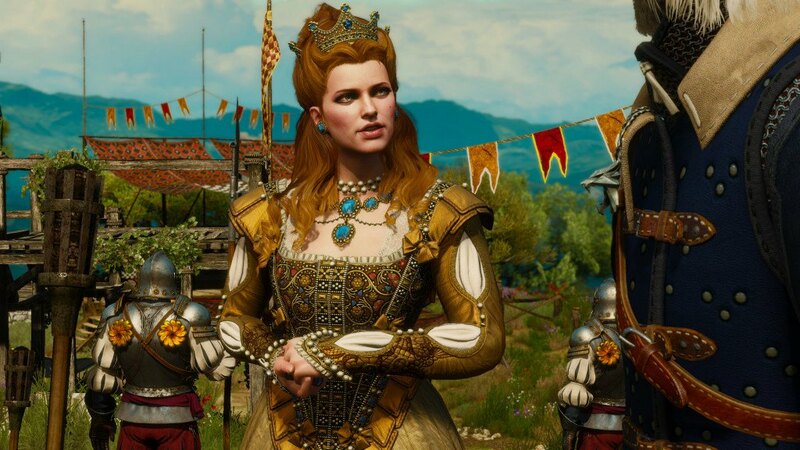 Geralt has to influence various narratives to help her become Empress including convincing Emhyr that his daughter can be a beacon of hope for the people. With the Black Ones gone, there nothing that stops Ciri from claiming the throne but to get there you need to take Ciri to the empire during the Blood on the Battlefield mission. All of the secondary quests need to be completed, so Nilfgaard wins the war and you also need to offer information about Ciri to Dijkstra which unlocks a new quest (Reason of State). Simply clear the mission and side with Vernon and Ves against Dijkstra, and you will trigger the Empress ending once you reach the final mission. The Empress ending is logically the best you can get. Cirilla manages to survive but chooses not to follow Geralt’s footsteps. Instead, she becomes Empress and succeeds Emhyr. There is a beautiful sequence where Geralt and Ciri go visit a Griffin’s nest and fight a forktail. Ciri gets emotional about leaving Geralt and everyone else to go to the kingdom. She wants to relive her childhood one last time and asks Geralt to piggyback her around the woods. Ciri comes to terms that she can’t always stick around in the village. She realized that she can do a whole lot more for the people in the kingdom at the throne and she chose the path for herself. The Empress ending is the polar opposite of what the bad ending had in store for us. We come to terms that Ciri is no longer a child and she has far greater responsibilities than being a Witcher and hunting monsters. The ending sequence has a much bigger impact than the Witcher ending which ends quite abruptly. The fate of Geralt is decided by his bonding with Yennefer or Tris and of course, his interactions with Ciri. But what really happens to Geralt by the end of Witcher 3? 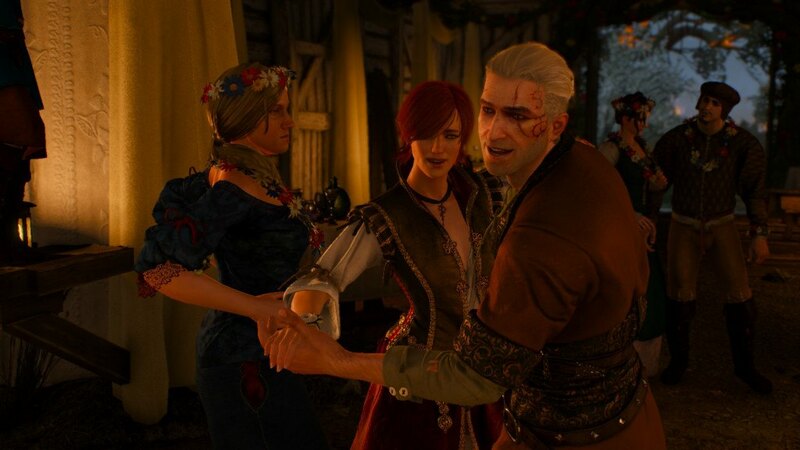 Assuming Geralt did not end up getting himself killed in the bad ending, he finally settles down with one of his love interests which is something that goes against his nature. Since the very first Witcher which released in 2007, Geralt was never a hero. He was simply a mercenary of sorts, and he would work with anyone who would have the money to pay for his services. Despite his habit of staying alone all the time, he realizes that he has not given up his humanity despite turning into a Witcher. Other RPGs often let you choose how your character looks or behaves, but it is not the case with Witcher 3. The code of conduct or professional ethics that the protagonist follows are reflections of the player’s own decisions. Your version of Geralt can be completely self-centered and focused on money while in other cases, he might be a compassionate being who puts the need of others before himself. You are posed several moral questions throughout the game, and sometimes you even hesitate when doing your own job as a Witcher. You are supposed to be a monster hunter who saves the innocents from vile creatures, but if you take a closer look at your bestiary, you will notice that many of these creatures do not attack humans unless provoked. While Witcher 1’s Geralt would take the beasts down for money at will, the final game’s version of the protagonist is far more experienced not to take things at face value. While it makes sense to spare the life of a sentient creature, not taking its life can open the village up to further attacks considering humans will stop at nothing to hurt what they don’t understand. Like all great RPGs, it is up to you to decide what’s right and what’s wrong. Hearts of Stone is the first of two DLCs, but it makes sense to play the DLC before clearing the base game as it offers hints to help you get a good ending in the base game. No matter what decisions you make you always end up in the same spot where either Olgierd or Gaunter O’Dimm will die. Saving Olgierd takes a lot of work, and you need to fulfill several conditions to have a chance at saving him. While the game might trick you into thinking that your actions in Whatsoever a Man Soweth and the Scenes From a Marriage questlines matter, they do not. But, meeting the professor is crucial to the game’s ending as he tells you how to defeat O’Dimm. You also need to meet Iris and accept either the rose of a piece of canvas. Once you end up in the last encounter after fulfilling these requirements you have a shot at saving Olgierd. If you fail to do so, both of you will die. There is no elaborate boss fight, just a timed puzzle that you need to clear. Once Olgierd is saved Gaunter O’Dimm leaves this world. Olgierd offers you Iris’ sword, and the additional puzzle level also contains a special silver sword. If you did not clear the quests that enable you to save Olgierd, he would die to Gaunter O’Dimm, and you can choose from a number of rewards including 5000 crowns, The Horn of Plenty, The Bottomless Carafe, The Caparison of Lament or no reward at all. Even if you choose to not take any rewards, you will get more XP points. Gaunter O’Dimm is one of the greatest villains in video game history, and he is a subtle nod to Stephen King’s Randal Flaggs. Based on the Polish legend of Faust, O’Dimm seems like he is a reincarnation of the devil himself and long before the Hearts of Stone DLC dropped. The villain was seen in several scenes during Witcher 3 hidden in plain sight. While there will not be another Witcher game anytime soon with CDPR focusing on Cyberpunk 2077 and possibly more future projects, we definitely hope to see more of O’Dimm in the upcoming Witcher series. Blood and Wine is Witcher 3’s second DLC gets a little more complicated than the base game as saving both Syanna and Anna can be very difficult. While saving Anna should not prove to be difficult, Syanna dies in two of the endings. There are multiple ways to get the good ending, so you do not need to worry much about making mistakes. However, after you decide the fates of the two leading ladies you always end up in the same spot. You can either save the noble vampire Regis or let him be chased out of Toussaint. If you kill Detlaff during the questline and manage to save both the ladies, you will still be unable to prevent Regis from being hunted down by vampires. However, if you manage to save only Anna, Regis can be left in peace. To trigger this, you need to let Detlaff go free even after he kills Syanna. By now you must have realized that there is no good ending in Blood and Wine, at least not for everyone. Blood and Wine gives a fitting ending to our favorite RPG of all time and getting any of the DLC endings is satisfying. The ending does not make you feel guilty and Regis tries to console you over what happened. While Skyrim is considered by many to be a pioneer in modern RPGs, Witcher 3 managed to one-up the Elder Scrolls title in many ways. The storytelling by CDPR is better than nearly every other game out there. Like all great works of art, Witcher 3 outlines several social themes and postmodernism. 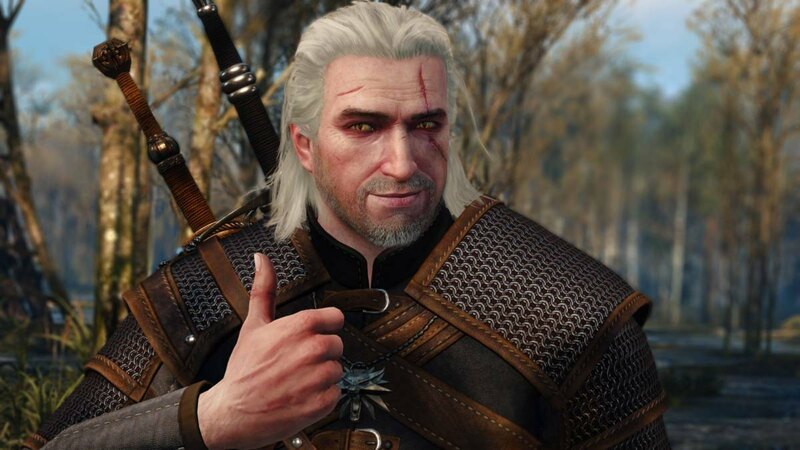 CDPR managed to tell one of the greatest video games stories and the trilogy definitely does justice to Andrzej Sapkowski’s work. Henry Cavill is set to play the role of Geralt of Rivia in the upcoming Netflix series and from the looks of it, the show is promising. However, we are at least a couple of years away from its release as things are still in the early production stages.